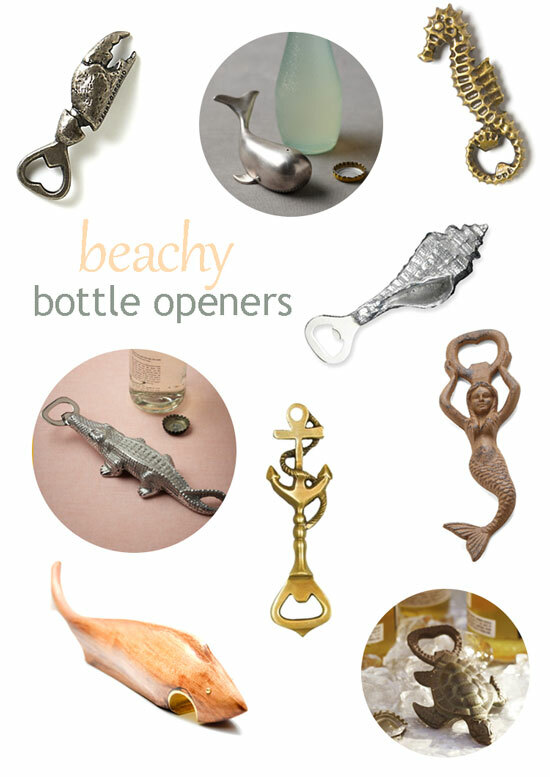 I've come across so many beach and sea creature-themed bottle openers that I've decided it must be a trend. They've got me wanting to crack open a cold one in my imaginary beach house. Perfect for a beach house beer bucket! Love the whale, perfect for summer!